Although Miller's engineering career was predominently focused on the railways of Scotland, he worked on a number of other projects as a land surveyor and civil engineer. Some of these he undertook with his business partner Thomas Grainger. Going back to the 1820s, Miller and Grainger had surveyed the land surrounding Hopetoun House (built 1699-1707) in South Queensferry, West Lothian, in 1828. They prepared new estate plans for owner John Hope (1803-43), fifth Earl of Hopetoun. The house was designed by Sir William Bruce (d.1710) and remodelled extensively (1721-67) by William Adam (1689-1748) and his sons. Between 1829 and 1831, Miller oversaw the building of roads in Ireland, probably in the counties of Cork and Kerry, for Richard John Griffith (1784-1878), Engineer of Public Works in the south west of the country from 1822-36. Some 400km of new roads were constructed in Cork, Kerry, Limerick and Tipperary during Griffith's tenure. In 1831, Miller and Grainger worked together to report on proposed alterations to the road from Hundalee Smithy, south of Jedburgh in the Scottish Borders, to Whitelee Toll Bar in Northumberland for the Roxburghshire Turnpike Trust. Their plans included putting part of the route through a tunnel. They worked in tandem again in 1834, reporting on the feasibility of constructing a harbour and dock in Trinity Bay, Edinburgh. The scheme received Royal Assent in July 1836, and was constructed under Grainger's supervision. The following year Miller reported to the Commissioners of Her Majesty’s Woods, who were responsible at the time for all Crown land and properties in Scotland. His work included delivering detailed plans of the estates of Linlithgow Palace (present structure built 1618-22) and Blackness Castle (built c.1445), both in West Lothian. In 1838, Miller and Grainger prepared plans for alterations, extensions and improvements to Arbroath Harbour — a potential North Sea trade link with their newly completed Dundee & Arbroath and Arbroath & Forfar railways. The harbour had been founded 1394, and its 'new' harbour (begun 1725) now needed reconstruction and enlargement, though Miller and Grianger's scheme was not used. The harbour was rebuilt to James Leslie's (1801-89) design in 1841-6. Miller was involved in a number of learned and technical societies during the course of his working life. The first was the Royal Scottish Society of Arts. He became a fellow in 1828, aged 23. Grainger also was admitted as a fellow (1827-8) and later became President (1850-1). The society was founded in 1821 and received its incorporation by Royal Charter in 1841. The Arts in its title refer to what were called the 'useful arts' — science, technology, engineering and manufacturing — rather than the fine arts. 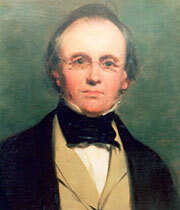 In 1828-32, Miller was Secretary of the Society of Scottish Land Surveyors, instituted in 1825. Grainger was Treasurer in 1826-7, and later President. Miller was keen to gain recognition as a professional civil engineer, and became an associate member of the Institution of Civil Engineers in June 1830. He was transferred to full membership in May 1832 and would be the Institution's senior member at his death in 1883. On 18th January 1841, Miller was elected fellow of the Royal Society of Edinburgh, which was established on 29th March 1783. Grainger became a fellow on 18th March 1850. The last of Miller's technical affiliations came in January 1850, when he was elected fellow of the Society of Antiquaries in Scotland. This society was founded in 1780 by David Steuart Erskine (1742-1829), 11th Earl of Buchan, and was incorporated by Royal Charter three years later. By the time Miller retired in 1850, although he was only 45, he had been an engineer for 27 years. Through his lucrative railway endeavours and sheer hard work he had amassed a considerable fortune. He now decided to put the money to other uses, to pursue his interest in property and to spend more time with his family. He was to enjoy a retirement that was almost as long as his working life had been — unlike his fellow engineers Grainger, Brunel, Locke and Robert Stephenson, all of whom died in their fifties, still working. But he was far from spending the time at leisure. The second half of his life would be almost as full of activity as the first.